JAMMU: Facing flak over delay in retrieving the state land from encroachers, the Vice Chairman Jammu Development Authority (JDA) has sought the help from DGP to provide police protection, citing the difficulties faced in the absence of a law-enforcing authority. The anti-encroachment drives have in recent past have turned into ding-dong battles between the encroachers and the enforcement wing of JDA and keeping in view the trouble, the Vice Chairman JDA has written to the state police chief for due protection. While chairing a meeting in this regard, Vice Chairman JDA pointed out that the schedule for the demarcation of land stands already prepared and circulated among the Deputy Commissioners and SDM's. 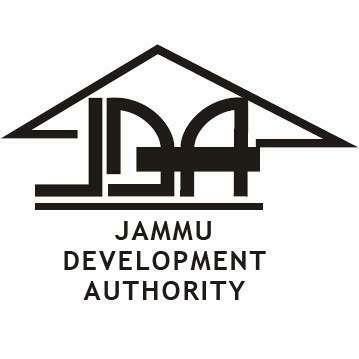 The move on the part of JDA was started after High Court had directed the Vice Chairman, JDA and Deputy Commissioner of Jammu and Samba to get the State land demarcated and retrieved from the encroachers. "The Director General of Police has been asked to provide full police assistance to the officials of JDA," said an official while adding, "it was further decided that the Director Land Management JDA will approach the SSP's for adequate police assistance." The Vice Chairman exhorted the officers of Revenue and Khilafwarzi wing to act tough against the land Mafia and identify the big sharks who have encroached the prime JDA land. Vice Chairman JDA has sought the list of Government servants too who have encroached the JDA land for the same to be sent to Government for requisite strict action. Pertinent to mention that several Bureaucrats, Police Officials, Revenue officers and politicians have encroached the JDA Land in Dodhi Gujjar colony at Sunjwan and have managed to construct illegal structures without even getting the building plan approved. Likewise many cases of encroachments over shaimlat land, Gair Mumkin Khad have been reported but the land occupiers has succeeded to get the case delayed on one or the other pretext putting the JDA to great loss. Sharing the details of the progress achieved, the Director land Management disclosed that more than 25,000 kanal of land stood demarcated within one year but still more than 50,000 kanals land needs to be identified and delineated on ground. During the meeting Vice Chairman JDA, R K Shavan directed the Engineering Wing to identify all the water bodies in the jurisdiction of JDA so that the same are adopted by the Authority for development and beautification purpose. He further directed to get the requisite DPRs prepared within one month.